The Board of Supervisors’ finance committee has recommended a program to assess and preserve the several historic buildings the county owns. The effort has roots in the decision in 2003 to adopt a Heritage Preservation Plan and form a Heritage Commission. Among the responsibility of that panel is to create a stewardship program for county-owned historical properties to ensure they are protected, maintained, and interpreted. So far, the county has completed one stewardship management plan, at the Settle-Dean Cabin. According to the county, that cabin was inhabited by Thomas Settle, his slave Charles W. Dean, and their families in the village of Conklin. Settle left the 142-acre property to Dean and his descendants in 1886. When Toll Brothers acquired that property in the 1990s, the structure was in poor condition. 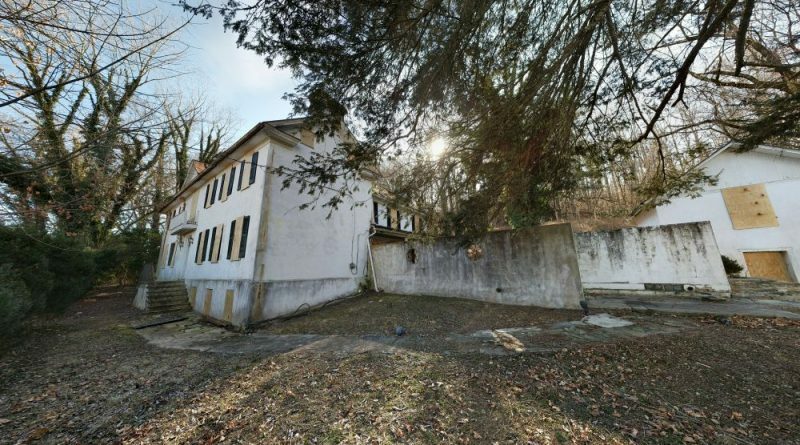 Area residents urged the county supervisors to save the building, and they reached an agreement with the developer to dismantle the log house and relocate it a few hundred feet on the west side of Loudoun County Parkway. The county and the Friends of the Arcola Slave Quarters held a dedication ceremony for the property in 2011. But of the 25 other historic, county-owned properties the Heritage Commission reviewed, 11 have not been fully evaluated, and nine are not in use or planned for renovation. The commission identified five top-priority properties: the Aldie Tavern, lately the site of the county’s controversial plans to build a new the Aldie fire station; the Broad Run Toll House, an intact remnant of the early turnpike system between Alexandria and Leesburg; the Elizabeth’s Mill Locks at Elizabeth Mills Riverfront Park, once part of the Goose Creek Canal and Little River Navigation Company; the Arcola Save Quarters, a Virginia Historic Landmark and entry on the National Register of Historic Places that serves as a largely intact example of housing for the enslaved during the plantation era; and the Arcola School, an elementary school built in 1939 and another Virginia Historic Landmark and entry on the National Register of Historic Places. Both the Arcola School and the Aldie Tavern face controversy. The county has faced strong opposition to its plans to build a fire station at Aldie Tavern, and continues to evaluate options on the property; while supervisors have in the past been divided over the value of the Arcola School. But the first step, said Director of General Services Ernest Brown, is to assess those properties to find out how much work they need. “One of the challenges is we have a lot of sites out there that you don’t know what it would cost, because you haven’t really gone through that process,” Brown said. From there, the county can develop a plan for each property. Heritage Commission member Lori Kimball said a stewardship management plan covers everything from regular maintenance, to historical interpretation, to accessibility. The finance committee recommended the county start by spending $80,000 to evaluate the Broad Run Toll House and the Aldie Tavern—with urging from some supervisors that the community step in to help preserve them. “My view is… if these things really mean things to the community, then they have to help us preserve these resources,” said Supervisor Ralph M. Buona (R-Ashburn). The finance committee also recommended county staff be directed to prepare a budget proposal to continue this work in future years. County staff members expect to be able to handle two sites a year, at a cost of about $40,000 each. The committee on May 8 voted 4-0-1, with Supervisor Tony R. Buffington (R-Blue Ridge) absent.